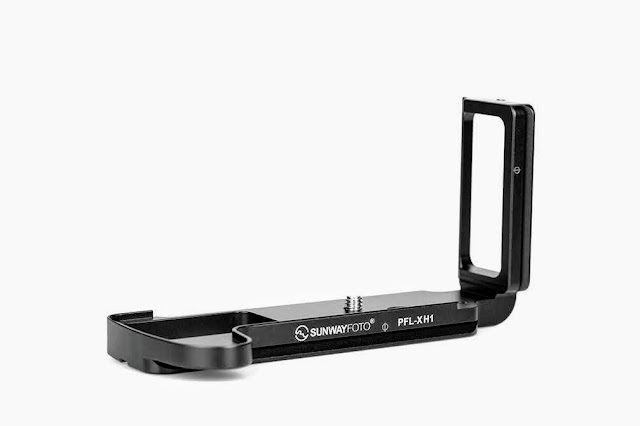 Yet asnother L Bracket was released a few days ago by Sunwfayfoto. 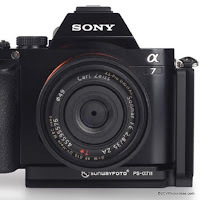 The PSL-a7RIII as denoted by the model name, is a custom Arca-Swiss® compatible L Bracket dedicated to the third iteration of SONY's high end full frame mirrorless camera the α7R III. 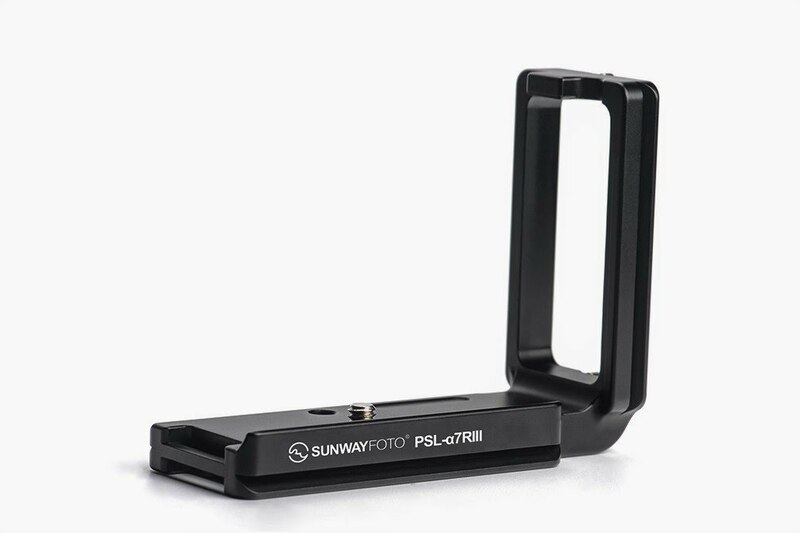 Although quite similar in model name the design of the new Sunwayfoto L bracket differs quite a lot from the previous models especially in the vertical side rail section and its positioning. 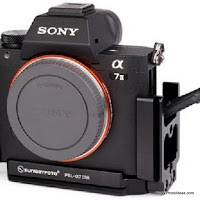 Sunwayfoto PSL-a7RIII Arca-Swiss® compatible custom L bracket abides to the high standards of Sunwayfoto manufacturing. It is CNC machined from a single Aluminium block, then hard coat anodizing. Further to that, as of last year the dovetail width of all Sunwayfoto products is compatible with almost all Arca style clamps even with RRS® lever release clamps. One convex ridge at the front of the base plate and one boss on the top of the vertical side plate secure the bracket and act as stoppers in order to prevent it from twisting. 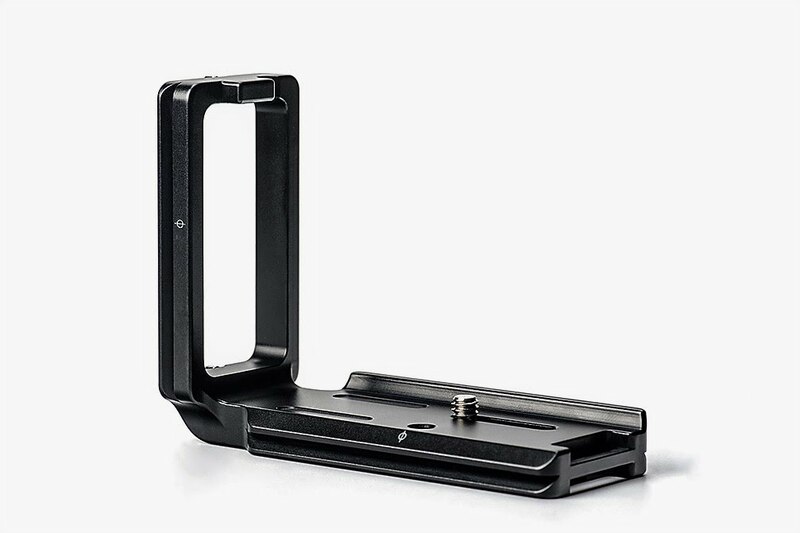 The design of the full length dovetail on the base-plate in combination with the long captive slot of the mounting screw, allows quite of lateral adjustment bringing the side plate away from the camera body. What differs with previous models though, is that the base plate and vertical side plate dovetails are no longer aligned, but have a little offset due to the connector ports placement on the left camera side. The center Φ marks on both plains prove of aid when changing from landscape to portrait orientation in order to maintain the framing, however a very slight correction back-forth might be needed. As foretold, the base plate is mounted on the camera via one 1/4"-20 D-Ring but also slotted captive mounting screw which resides in a 20 mm long captive slot, allowing for the L bracket to be moved away from the camera side. 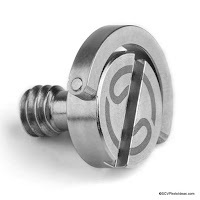 There are a total of 4 M3 safety stop screws, located at both ends of each plate while an 1/4"-20 threaded hole is also present on the base plate for mounting on a pod without removing the bracket. 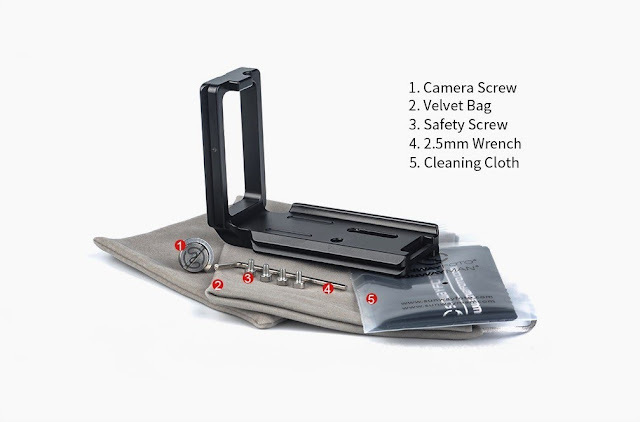 Further, it offers an strap loop on the base end for the attachment of a wrist strap. 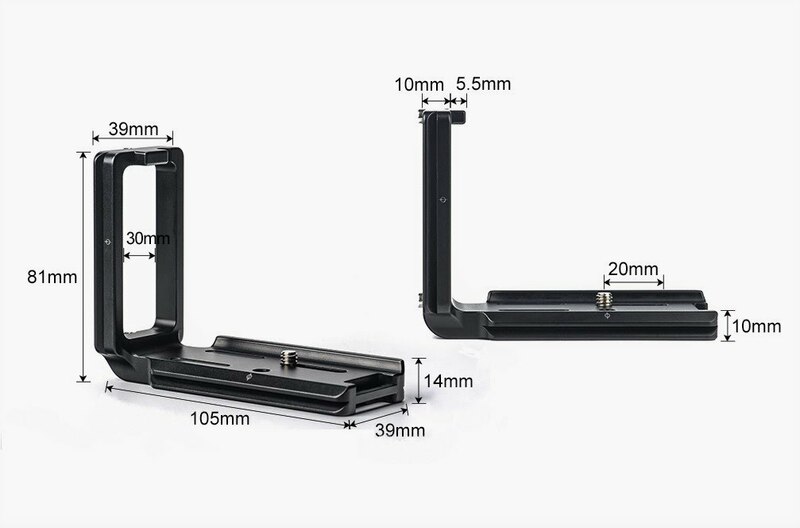 The illustration below shows the exact dimensions and measurements of the L bracket, as well as the mounting screw captive slot length. 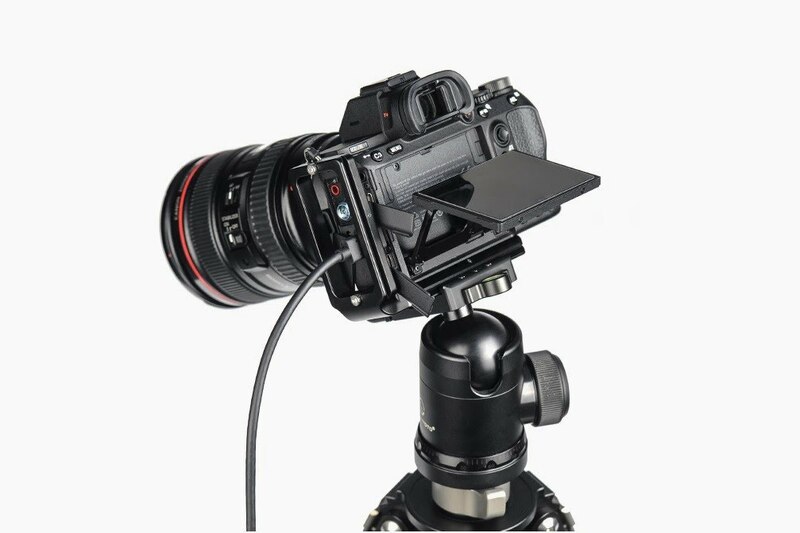 This means that the vertical plate can be moved 20 mm away from the camera side, if extra clearance for cables is needed when in portrait orientation. 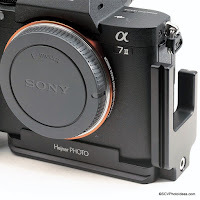 The PSL-a7IINR L Bracket fits well and protects the Sony α7R III body adding about 1 cm to the camera dimensions at the bottom and the left side but little weight. The PS-a7IINR base plate occupies all the width under the LCD screen, starting from the left edge and stopping just before the battery-door hing enabling the unobstructed exchange of batteries.The vertical L side differs quite a lot from the previous models in shape and size since it reaches higher than usual. 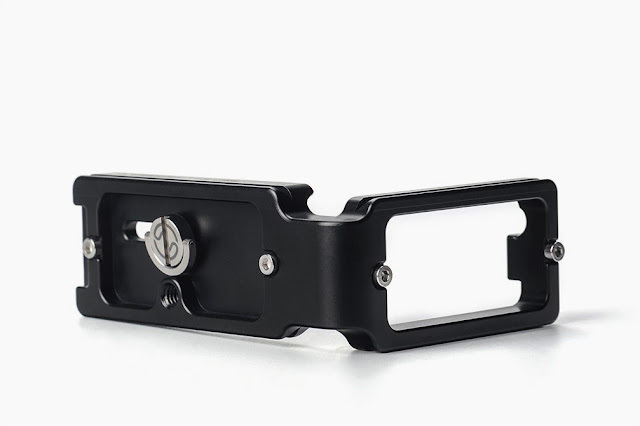 The vertical plate positioning permits full access to the camera side connectors through its opening with the port covers slid outwards. As the anti-twist convex ridge is sitting against the front panel of the camera, nothing interferes with either the raising or tilting of the LCD screen at the rear. The PSL-a7RIII package, besides the L bracket it also contains all necessary screws and tools. In this case 4 x M3 safety stop screws for the bottom and side plates, 1 x 1/4"-20 captive screw and one 2.5mm Allen wrenches for the M3 screws. More than these, a velvet draw-string protective bag and a Quality Cleaning Cloth by Sunwayfoto come with it. I hope you found the preview useful, thank you for viewing. 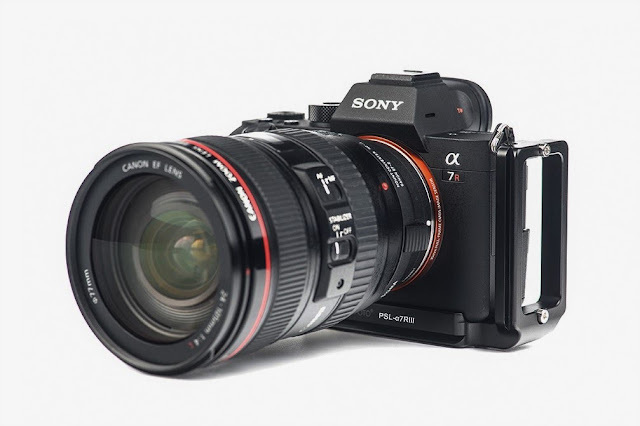 Estimated price for the PSL-a7RIII L Bracket is US$ 59.95 (+Free shipping in the US) and is available from Amazon or from eBay worldwide. 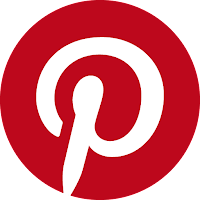 If you are interested in the above product(s) or any other product please consider using the relevant link(s) to make your purchase and help support this site. Your support is needed and greatly appreciated. Hejnar Photo H129 Replacement Foot Compatible with new NIKKOR 500mm PF Telephoto Lens.